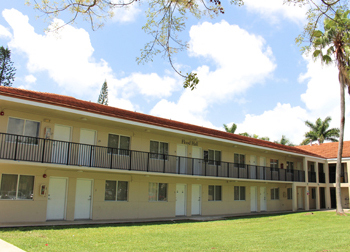 Flood Hall was named after Sister Trinita Flood, the fourth president of Barry. 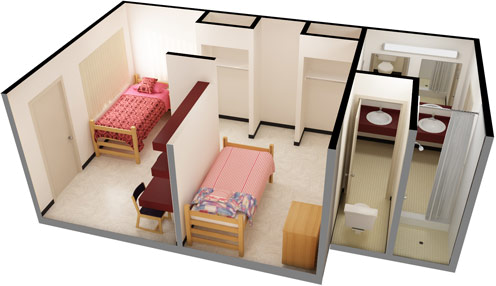 It houses male and female students in double air-conditioned suites; a bathroom is shared between double rooms. View Rates. 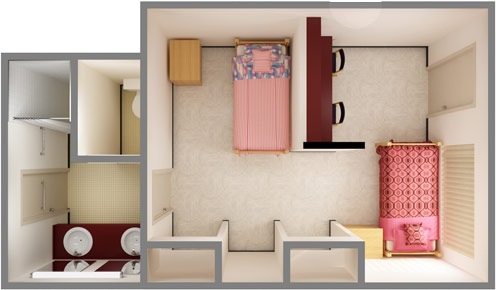 *Single Shared Rooms will have one of each furniture piece.